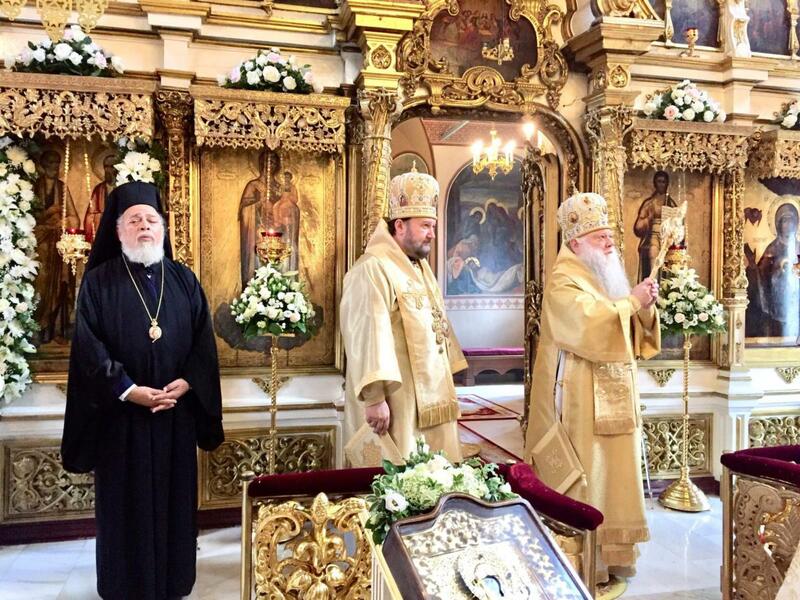 On the feast of Apotles Peter & Paul His Eminence, making the 15th anniversary of his hierachal consecration, led the Divine Liturgy at the Serbian Podvorie in Moscow. His Eminence will soon travel to Ekaterinburg to mark the 100th anniversary of the martyrdom of the last Russian Tsar, his family, and servants, and this is the reason for his present visit to Russia. More information on His Eminence's service for the feast can be found at the link for the Serbskoe Podvroie. Translation of the information at this link is below. On the 12th of July, 2018, on the feast of the Holy Glorious and All-Praised Preeminent Apostles Peter and Paul, at the Podvorie of the Serbian Orthodox Church – at the Peter and Paul temple [near the] Yauza [Gates] – marked its patronal feast day. 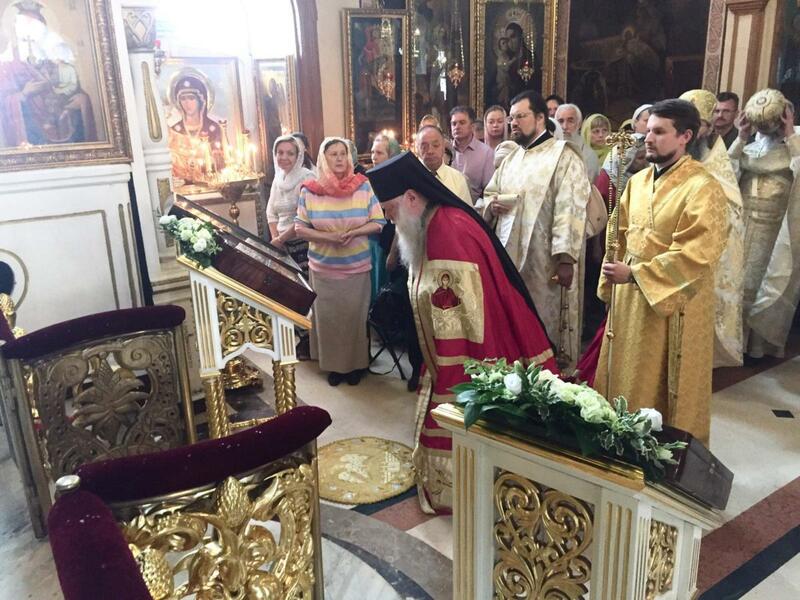 The Divine Liturgy was led by His Eminence Peter, Archbishop of Chicago & Mid-America. Serving with the [visiting] hierarch was the representative of the Patriarch of Serbia to the Patriarch of Moscow and All Russia Bishop Anthony of Moravichsky, the Vice Chairman of the Department of External Church Relations of the Moscow Patriarchate Archpriest Nikolai Boloshov, the Representative of the Orthodox Church of the Czech Lands and Slovakia to the Patriarch of Moscow and All Russia Archimandrite Seraphim (Shemyatovsky), the Representative of the Orthodox Church in America to the Patriarch of Moscow and All Russia Archpriest Daniel Andreyuk, Archpriest Andrei Novikov, Priest Oleg Vyshinsky, and Deacon Vladislav Sokolov. The [parish] choir sung under the direction of the choir director Ludmilla Cherkovskaya. The Divine Service was attended by the Extraordinary Ambassador and Plenipotentiary of the Republic of Serbia to the Russian Federation Slavenko Terzic. After the Liturgy a moleben and cross procession was held, at the conclusion of which Bishop Anthony congratulated all present with the patronal feast of the Podvorie of the Serbian Orthodox Church in Moscow. The moleben was [also] attended by Metropolitan Niphon, Representative of the Antiochian Orthodox Church to the Patriarch of Moscow and All Russia. 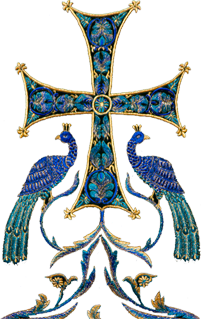 Bishop Anthony congratulated Vladyka Peter with the 15th Anniversary of his episcopal consecration and as a prayerful remembrance of this day presented him a panagia and an embroidered icon of the Holy Apostles Peter and Paul. 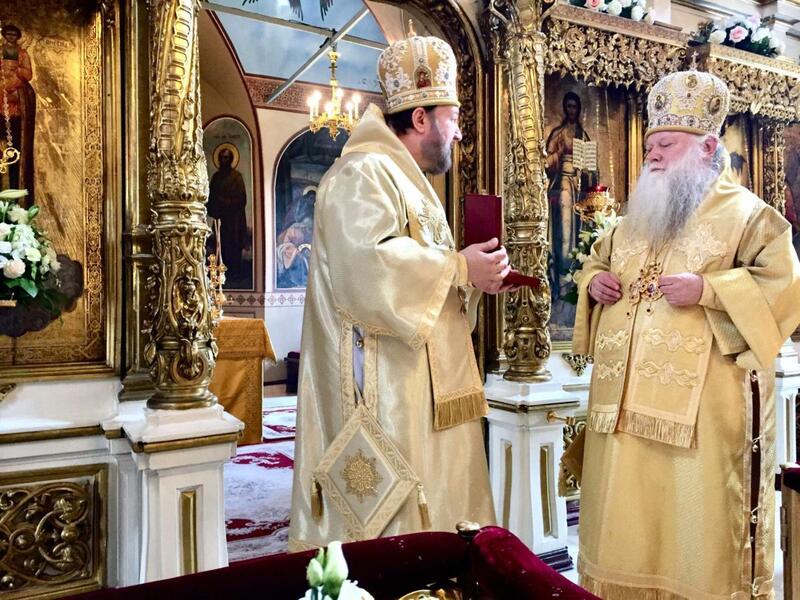 In his reply Vladyka Peter gave thanks for the opportunity to serve the Divine Liturgy for the patronal feast of the Serbian Podvorie in Moscow, [this Divine Liturgy being] a witness to the unity of the Local Orthodox Churches.